« What is a Farm? We had a new addition to our farm this week. Meet Bea, our newest lamb. 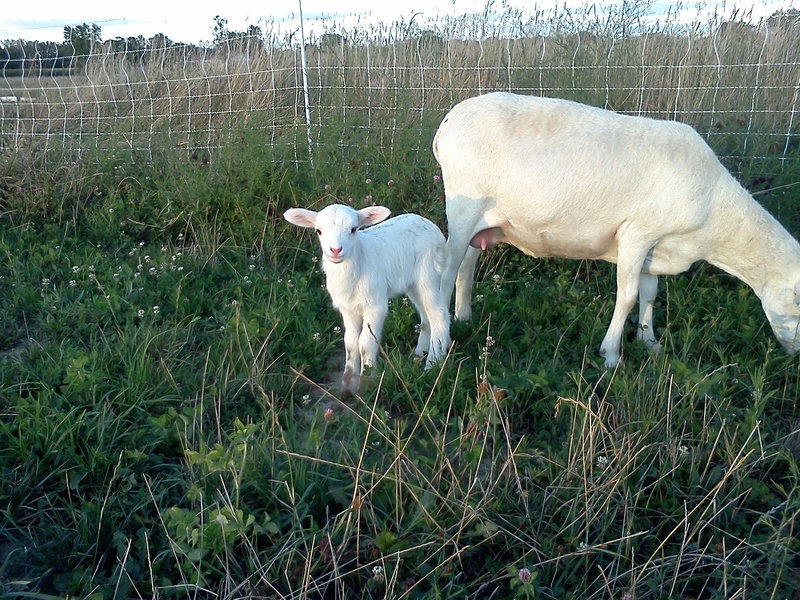 One of our older ewes has begun to cycle out of season, giving us a lamb in August each of the last two years. Bea is the latest. Most of the Full Circle Farm family had the opportunity to visit the Indiana State Fair this week. We enjoyed visiting Pioneer Village, seeing the antique tractors, and visiting the animal barns. Farmer Paul also visited the new Glass Barn. Below is my take on the Glass Barn. *Bea will not be raised on a 2,000 acre farm. *Bea will not be raised in a slatted-floor climate controlled building. She will be raised outdoors, as nature intended. *Bea will not be micro-chipped so that we can track her temperature and general health. Her health, as that of the rest of the animals, will be evaluated through daily visits by the resident farmers. *Bea will not wear a pedometer and GPS locator. We’ll find her on an easy tour of the farm. We will be taking a hiatus from the Zionsville Farmers’ Market. Thanks to your support, our supply of grass-fed beef is going quickly. We plan to be back at the Zionsville Farmers’ Market September 14, September 21, and September 28. We will have pasture-raised chicken and pasture-raised pork. In the meantime, we will continue to sell at the Farm to Fork Market at Normandy Farm. We will continue to sell organically supplemented free-range eggs and the remainder of our grass-fed beef. Betsy’s Kitchen will continue to sell gluten-free and paleo treats. This week she will be selling Spicy Chocolate Paleo Brownies, Paleo Zucchini Bars with Cashew Frosting, Paleo Apple Cider Donuts, and Flour-less Dark Chocolate Cake.